Buy to Let - 3 Bed End Of Terrace, Forth Crescent, Dundee. 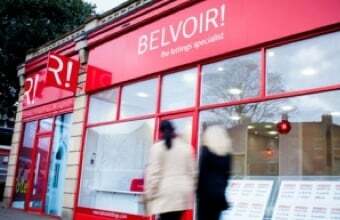 Gross Yield 6.2% | Belvoir! I was chatting to a potential landlord the other day about areas within the immediate vicinity of Ninewells Hospital that rent well and Forth Crescent came up. We rent a number there and I saw this one which unlike our other properties in that location is a house, http://www.zoopla.co.uk/for-sale/details/43877343?search_identifier=ecd5a7213b9d3cb170474b7b8a69f2b6#pzeeU2741zEApIRh.97. Its being advertised by Purplebricks at offers over £112,000. It seems to be in very good condition judging by the schedule and it’s a popular size. I would estimate the rent to be in the region of £640, that’s a gross yield of just over 6.2%. Capital appreciation for this type of property over the last five years has run at just under 15%. Food for thought.